A very cold winter, cool harvest period and great conditions until the end. A deep red nearly black colour. The nose is quite mature with notes of brandy, marc and wet wood. The mouth gives off notes of under-wood, quite light and slightly un-balanced at this stage but not aggressive and it has a very good length. This wine must be kept in order to give it time to balance out. The truffle and cigar characters enchant the nose. The attack in mouth reveals all the power of this tense wine: a balance between richness and notes of liquorice. Decant 2 hours before serving at 16 ° C or to wait, with a very nice potential. 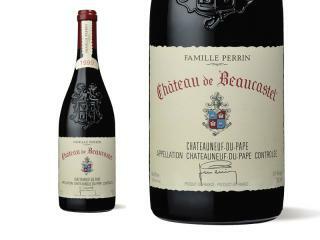 With a beautiful deep black colour, the 1999 vintage has an intense nose of ripe fruit with animal notes. The palate reveals powerful tannins. A beautiful wine that will improve even more over the next few years.